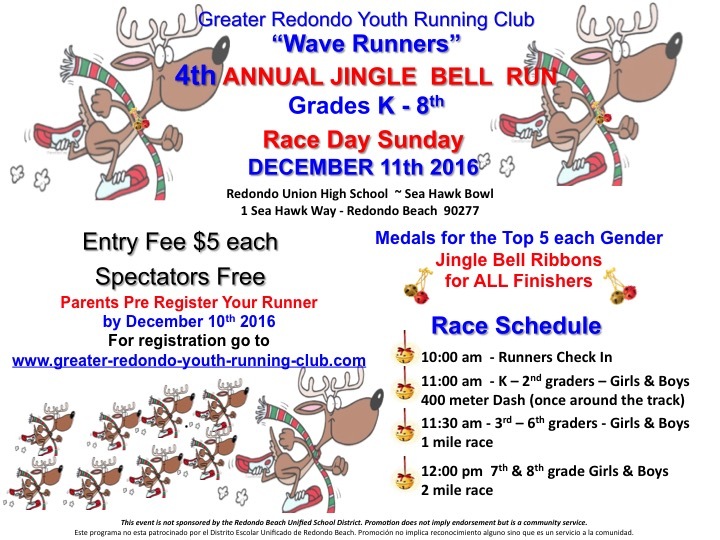 4th Annual Jingle Bell Run for K – 8th graders. This entry was posted in Fall Cross Country Registration, Jingle Bell Run, Wave Runners Youth Running Club by Laurie. Bookmark the permalink.